Tug of war has been viewed as a dangerous and idiotic sport and has been criticised for many years, these negative views and opinions are due to previous years were Tug of war was only pulled in pub sceneries. In recent years Tug of war has been held in other venues outside of the drinking scene but views and opinions are still very hard to change. Tug of war is an all year round sport which means indoor Tug of war is also pulled during times of bad weather. The negative side to indoor tug of war is lack of sporting accommodation, many clubs are not able to supply a sports hall large enough to accommodate competitions as a hall of forty-six metres would need to be provided. Although there are negative sides to tug of war there are also the positive which can help to benefit the lives of many people. Tug of war not only provides fun and team work but also provides the knowledge and understanding of the importance of fitness and proper diet. In recent years government have expressed their concerns on the increased levels of obesity and underactive people. In recent years I myself have thought of ways to help put an end to the epidemic. 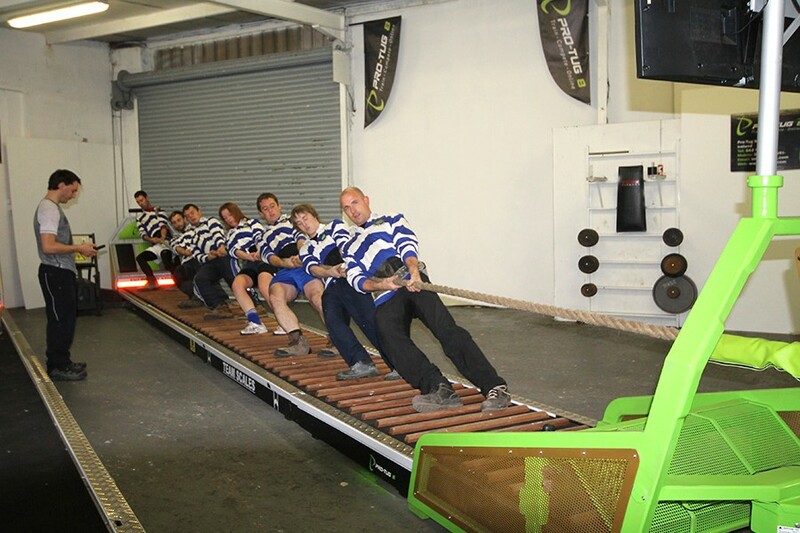 So eventually I came up with the idea of a machine that can be used in small areas of twelve metres length and schools and colleges could avail off, and this is why I decided to create a machine that could cater all the needs for this sport. The machine in which I have designed can provide an online service to host tug of war competitions, teams from all over the world can benefit from this as travelling expenses and hotel accommodation can be eliminated and participants can compete in the comfort of their own facilities. This machine eliminates other factors such as cheating and miscalculations of weights, it is capable of reading as little as .1 of a kilogramme, it not only registers the weight of an individual but also the pressure the entire team is producing. When the machine recognises the pressure it responds to this and moves according to the force of the team. The programming of this machine can be controlled from electronic devices such as Smart Phones and tablets once the application is installed. 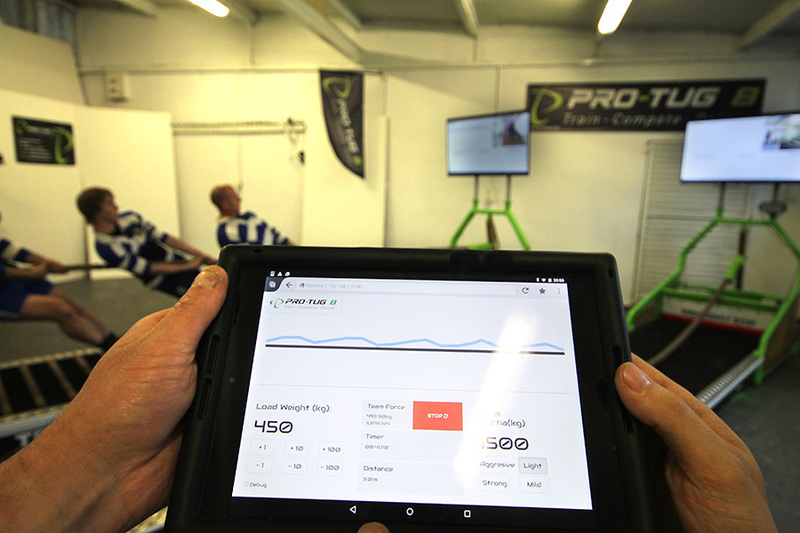 When training a team or an individual a desired weight can be obtained in the programming and can be altered to suit an individual or teams desire. Some of the safety factors of this machine include a harness which can be used for children to eliminate injury. Overall I personally feel that this machine will bring Tug of war to the future and make it more appealing and modernised to the younger generation of people. So in conclusion I feel I have achieved the goal that I have desired.